As Father’s Day is drawing near, do you have similar thinking as the above ones? Do they bring back some memories of the good old days with your dad? If you want to express love and make your father happy on this Father's Day, please visit Hong Kong Give Gift Boutique Father's Day gifts page and choose a memorable gift to send to him. There are dozens of exclusive gifts for Father’s day; each gift is specially designed to make your dad happy and satisfied. If you want to share some inner feelings with your father, it’ll be nice to have a glass of wine at the same time. 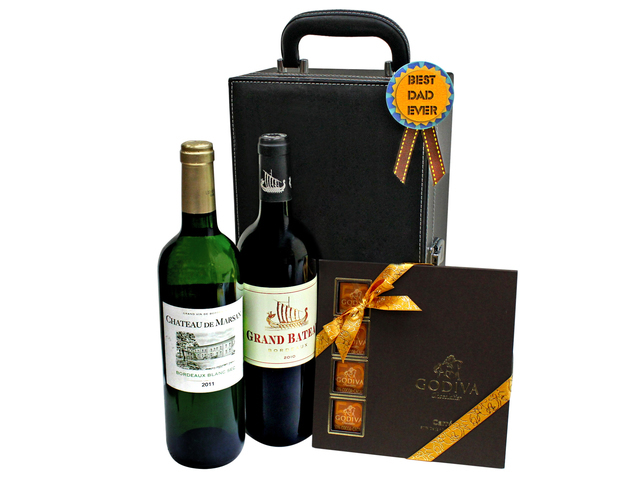 Our Father's Day wine gift hamper G1 includes a bottle of red wine and a bottle of white wine, as well as the delicate Godiva Chocolate; they are well packed in a premium man-made leather wine box which shows your good taste and your love for father. We also recommend you this Parker Rollerball Pen Gift Set A4 for Father’s Day gifting. This rollerball pen is Parker’s most popular pen due to its iconic stainless steel body and signature click; with the delicious Spanish Marques de Gelida / Italy Marina Espumante sparkling wine and Harrods tea bag gift box set, your dad will receive the premium combo gift for men. Father's Day Green Plant P2. 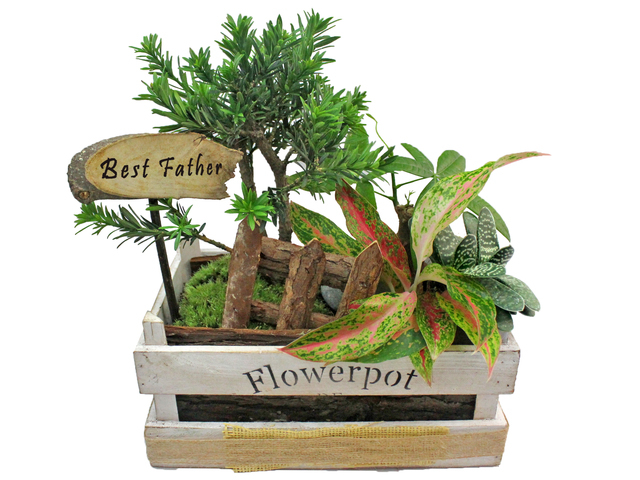 The plant gift includes Broad-leaved Podocarpus, good fortune plant and pachira with a "Best Father" wood board. It is a very suitable gift for your beloved father to wish him good health and all the best. For more Father's Day gift selections and add-on gift items, please visit Hong Kong Give Gift Boutique website, the gifts for Father’s Day can combine with your favorite flower Bouquets; fruit baskets and gourmet gift hampers. 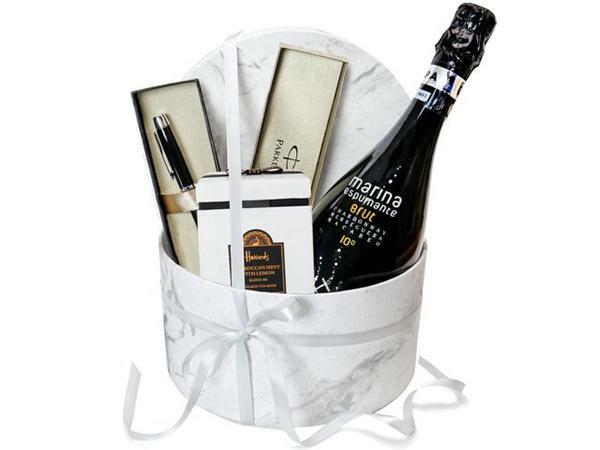 The wide range of gift combination can definitely satisfy your needs for Father's Day gift sending.